but, Lorna, what do you eat? So today I want to show you what an average day for me looks like on a whole food plant based 'lifestyle'. I like to start my day with a large glass of purified water followed by a detoxifying apple cider vinegar shot. This morning ritual gets the pipes moving (if you know what I mean! ), clears out the body and tickles the liver to start dumping out those toxins! You can read all about why I wouldn't go a day without this elixir drink here. First up for breakfast is a green morning drink, either a green smoothie or a green juice. This is nature's most powerful supplement. That keeps me going until mid morning, but I really love my food so I wouldn't get through the morning without a pot of chia seed porridge. Here's a simple recipe for this powerful breakfast along with all the reasons why I make sure soaked chia seeds feature on my plate most days. I never skip lunch or any meal for that matter. Skipping meals would set me up for a snacking feast (of the unhealthy kind) later in the night, right at the time when it's really not ideal to be eating. But when it comes to lunch I have zero tolerance for spending more than 5 minutes preparing it. So most of the time I eat leftovers from last nights dinner, that I revamp with the addition of a nice large salad or a warm wholegrain pitta bread filled with warm leftovers. Otherwise it's a simple avocado smashed on wholegrain rye toast with a squeeze of fresh lemon or a pasta n' salad lunchbox. Ok, now it's confession time. I don't spend hours on end in the kitchen. In fact, meal prepping is not really my favourite way to spend my precious spare time. But but but........that doesn't mean that I compromise on quality or taste. No way! It just means that over the years I've come up with some neat little systems n' tricks to spend as little time as possible meal prepping but still eating a highly nutritious whole food plant based diet. My most prized 'not so secret' strategy is batch cooking. 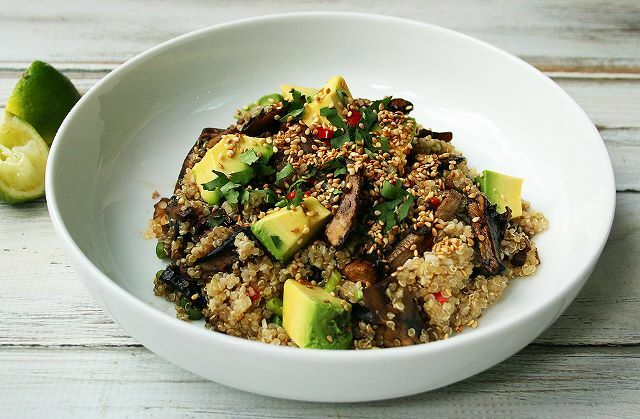 I'll cook one dish, with several portions leftover and either freeze some portions or eat it fresh over the next couple of days with the addition of a fresh salad and freshly cooked wholegrains such as quinoa or brown rice. 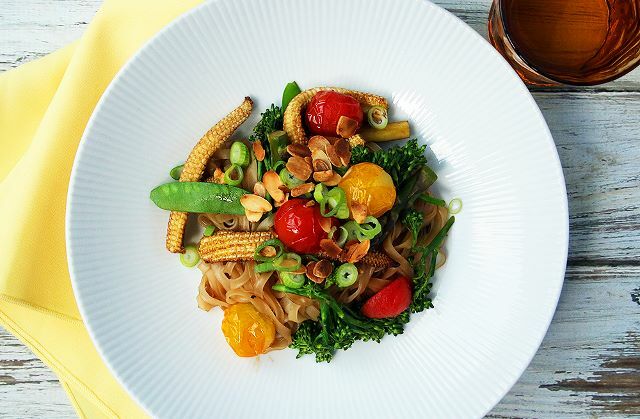 Or a spring vegetable stir fry with wholegrain noodles. I tend to change my weekly menu with the seasons. This avoids overwhelm and just about when I'm starting to get bored of my weekly meals it's time to switch. I hope this has inspired you to come up with your own favourite plant based meals. But most importantly know that this lifestyle is not complicated, not time-consuming and doesn't even require any fancy exotic ingredients. As always I love getting your feedback. Tell me what your plant based day looks like or even what an ideal day would mean to you?